- one of the most popular among buyers in our warehouse. 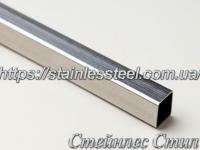 We can always buy a stainless tube square section 10 * 10 - 100 * 100 mm. 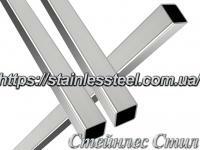 Square stainless steel tube is implemented multiple of 3 m meters. 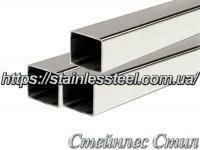 If desired, the tube is cut square to the required size. 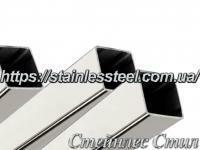 The price of the pipe is always current in our price list. Calling Sales you can check unless necessary for himself the existence of stock of a particular size. 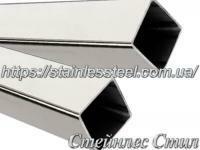 Buy pipe can be directly from stock, or transferring funds to the account of the company rasetny according to invoicing. 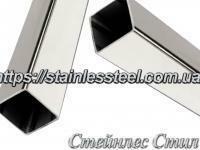 Our company - nerzhaveki direct supplier to Ukraine. When you call us you will instantly receive information on the presence of the pipe cross-section required. 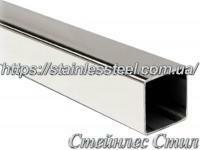 As the saying goes "Stainless steel tube of square or yes or no. Traits are not given!" 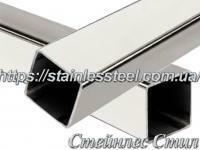 BUY stainless steel pipes square! Price is valid! Cutting! DELIVERY!